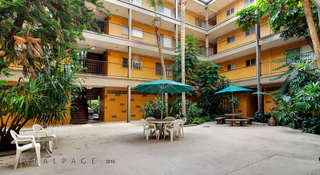 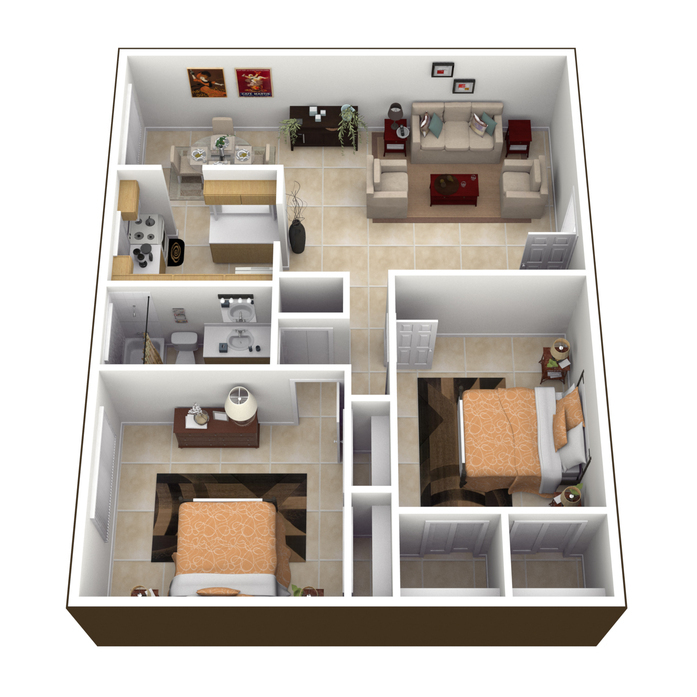 The studio units have approximately 475- 500 square feet. 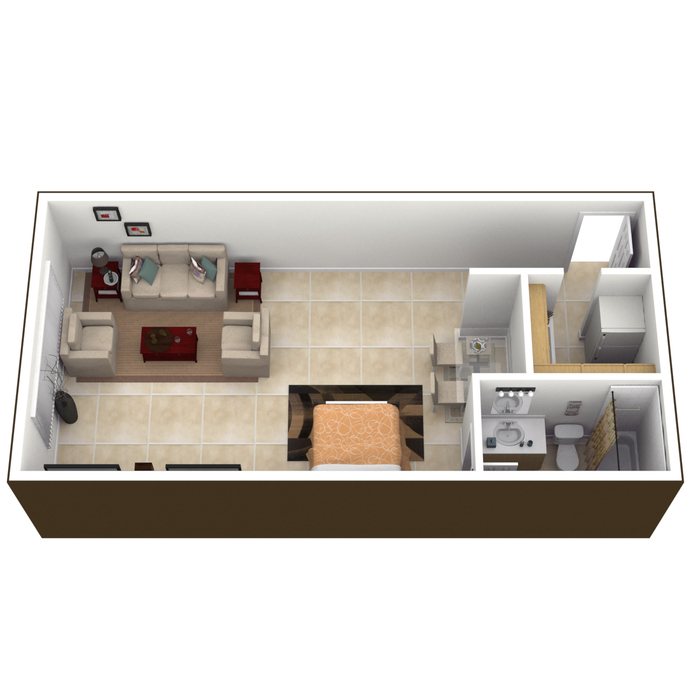 The one bedroom units have approximately 600 - 850 square feet. 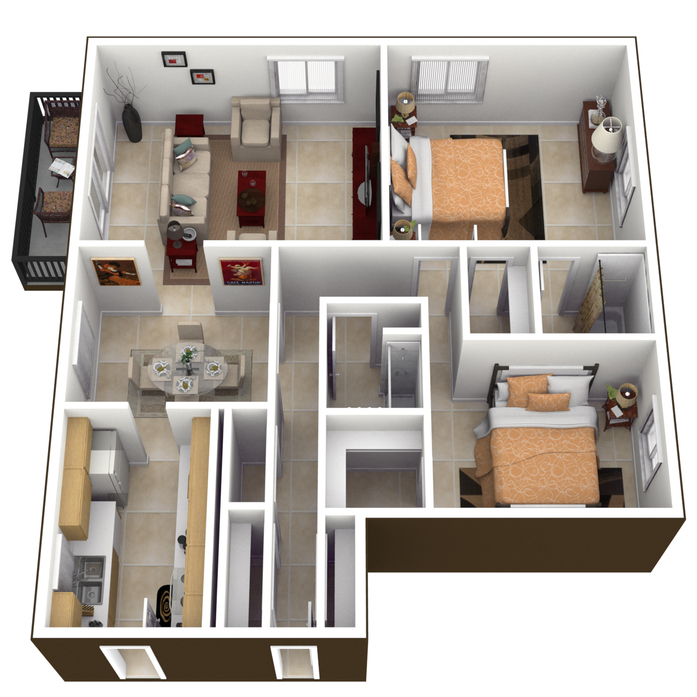 This unit has approximately 1178 square feet. 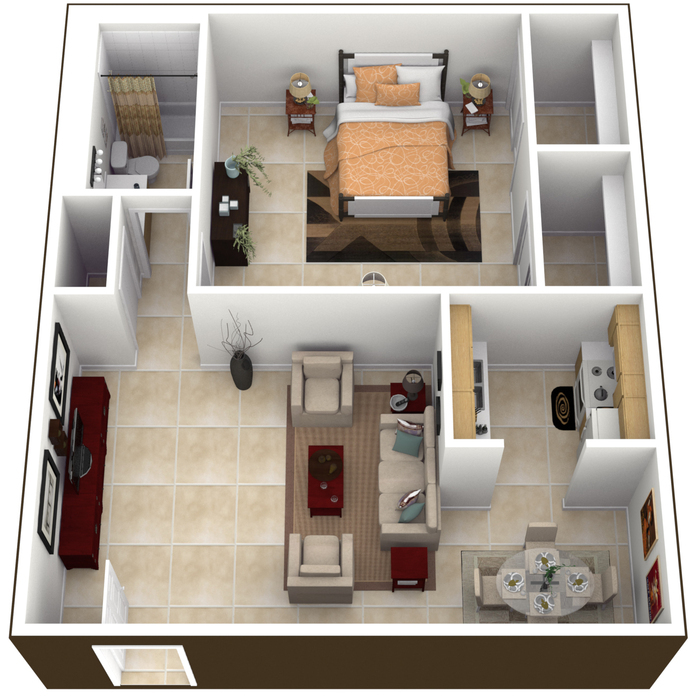 The two bedroom/two bath units have approximately 1307 - 1410 square feet.